Tired of introducing or reviewing math vocabulary? Here is a quick, easy, and FUN way for your students to be introduced or review terms in a new topic! 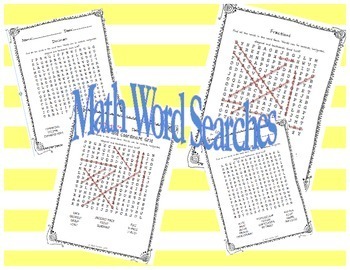 Word searches can be made into a quick review game of common terms used throughout a math unit! Each word search includes an answer key for quick checking!